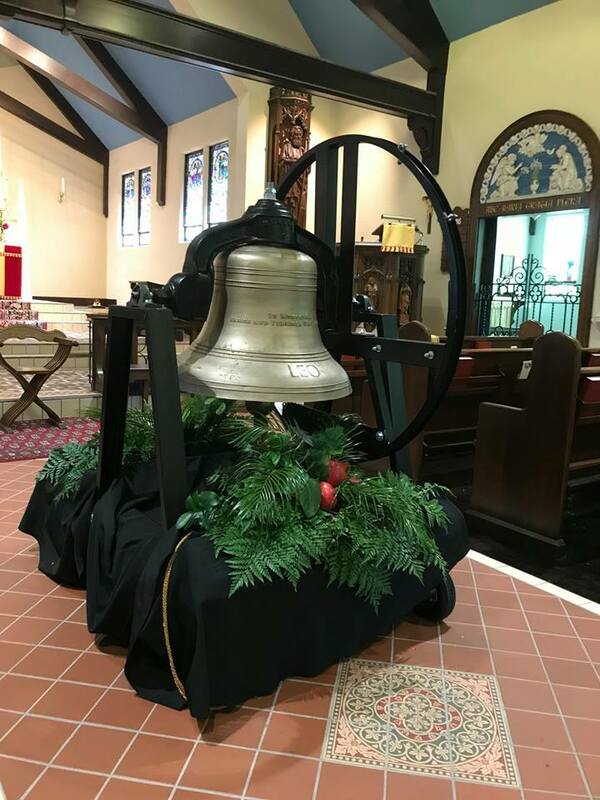 Here’s something which we have never shown before on NLM, the blessing of a church bell according to the traditional rite. 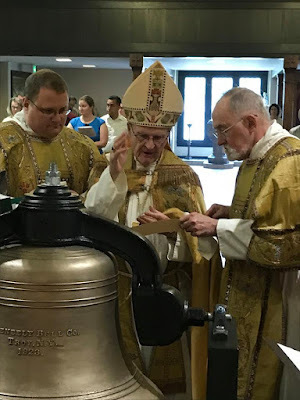 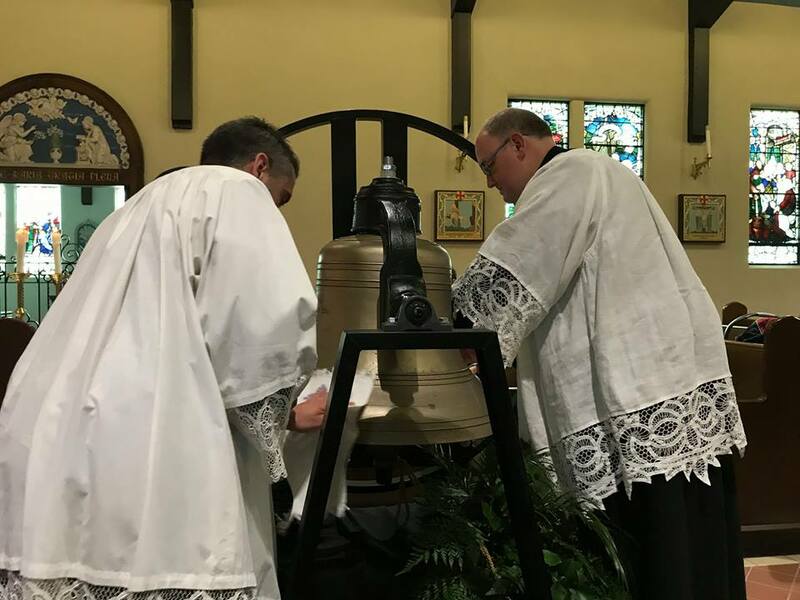 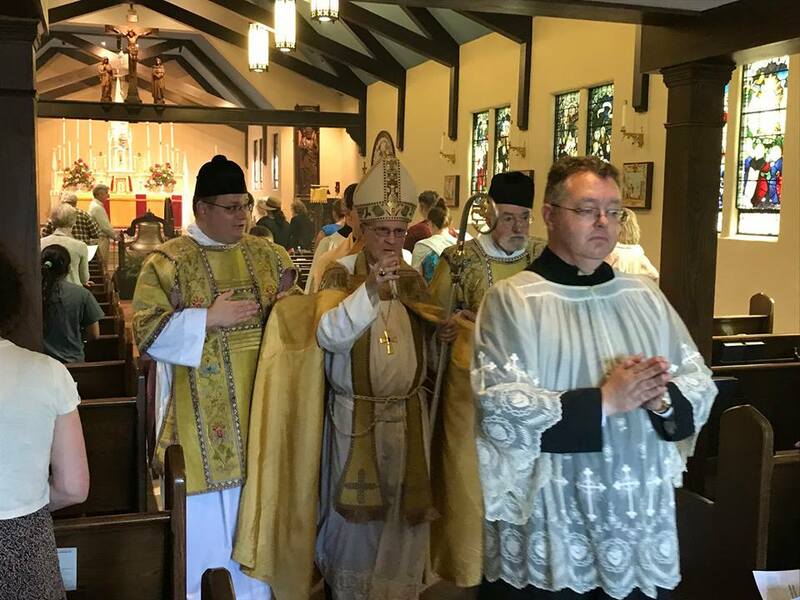 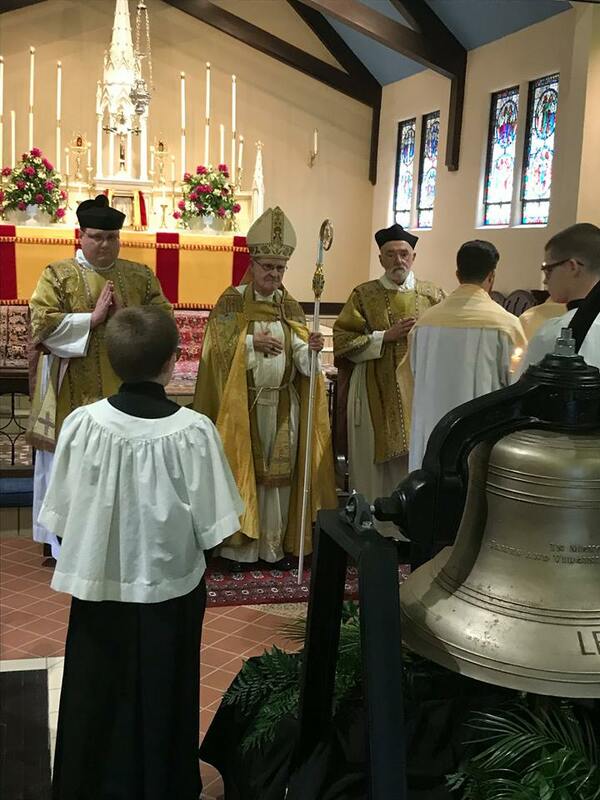 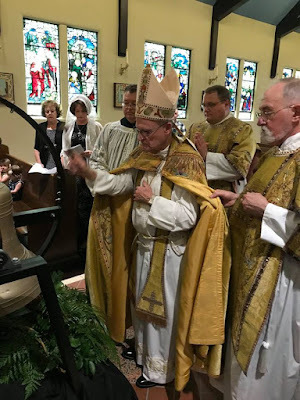 The ceremony was done this past Sunday at St Barnabas Catholic Church in Omaha, Nebraska, a church of the Personal Ordinariate of the Chair of St Peter, by His Excellency Elden Curtiss, Archbishop Emeritus of Omaha. 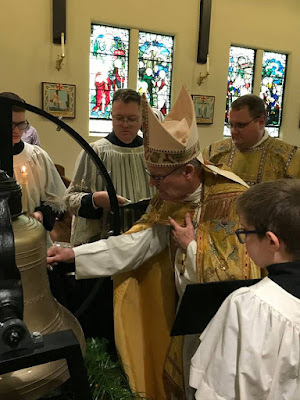 Since it was done at an Anglican Use church, the blessing followed the original version of the Pontifical of Clement VIII, whch the Anglicans very wisely elected to followed, rather than the drastically mutilated version promulgated in 1961: yet another reason to rejoice at the creation of the Ordinariate Rite. 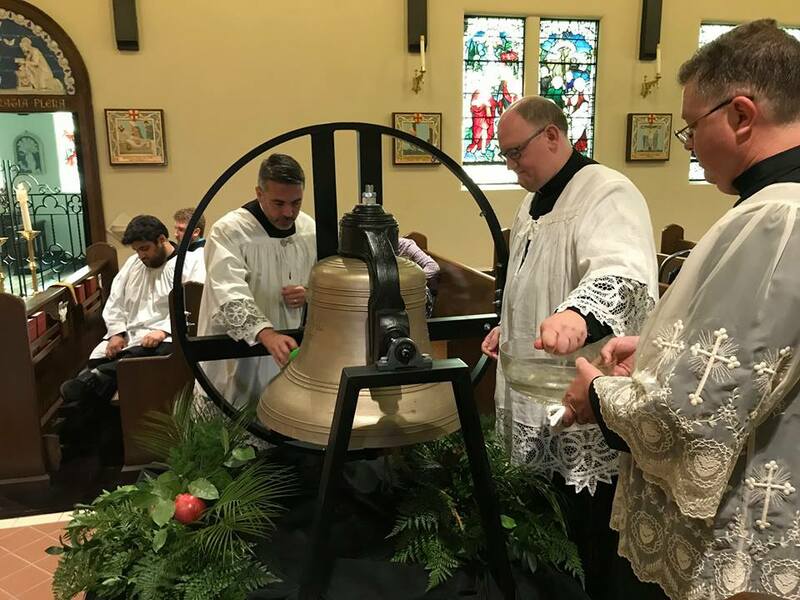 These photos by Mr Mel Bohn are reproduced from the parish’s Facebook page, with the permission of the pastor, Fr Jason Catania. 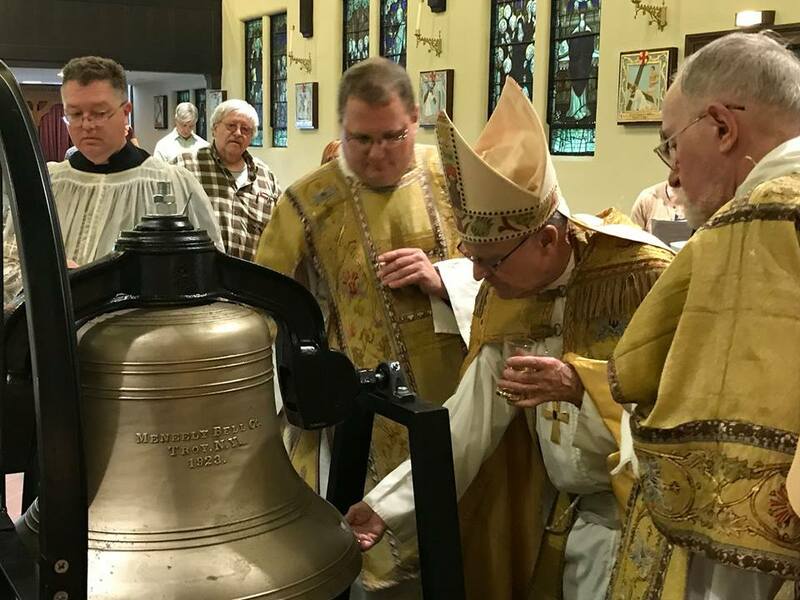 The bell is suspended in such a way that it can easily be touched on both the inside and outside, and so that the bishop can walk around it. 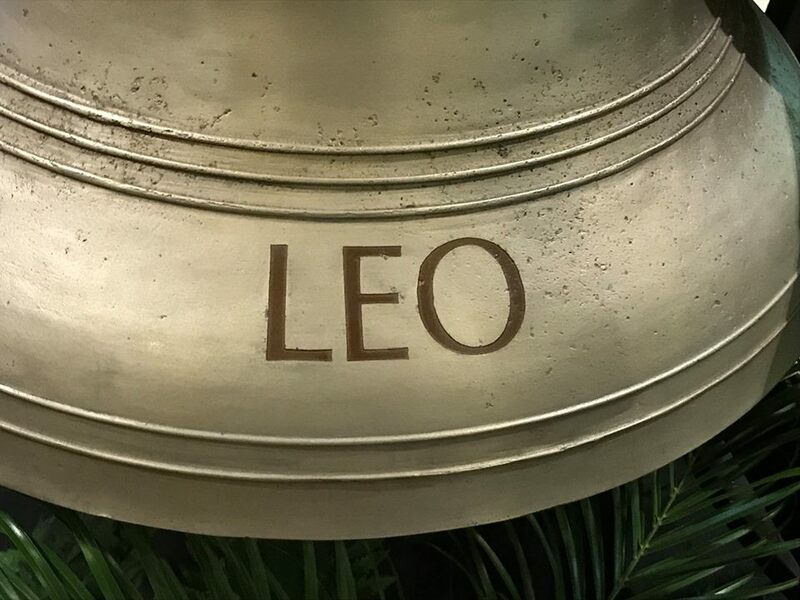 In according with the long-standing custom that bells are named for Saints, this bell is called Leo, after Pope St Leo I. 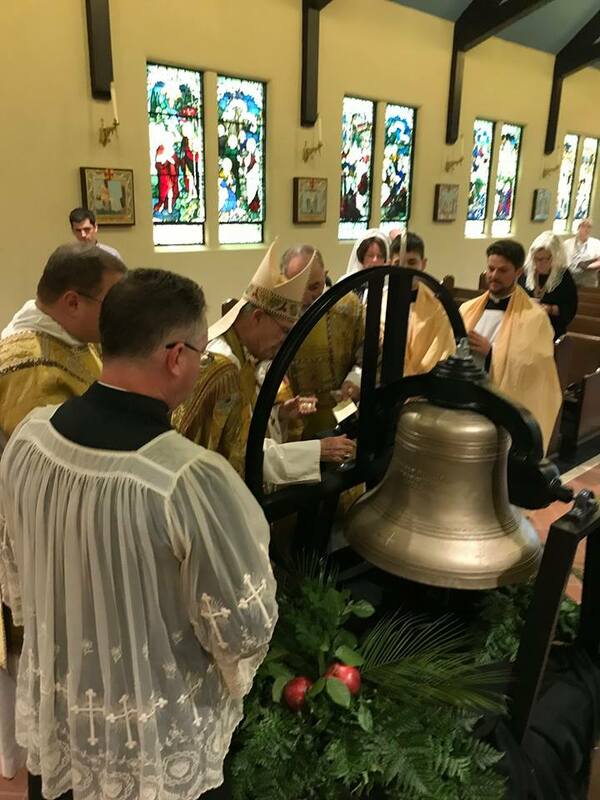 The bishop begins the washing of the bell with the holy water, taking an aspergil and sprinkling it along the edge both inside and out. 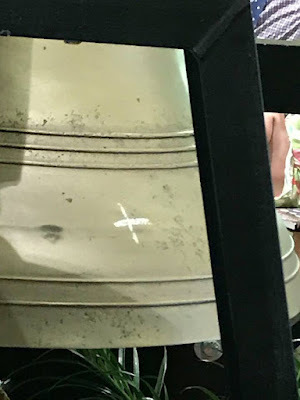 This is the part of the ceremony which has given it its traditional nickname, the “baptism” of a bell. 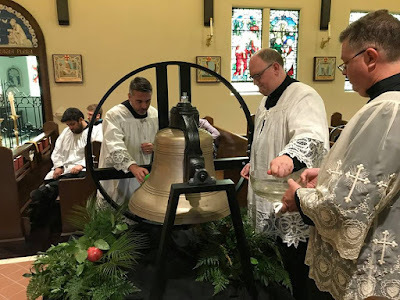 The washing is completed by the sacred ministers with sponges; the bell is washed inside and out, from top to bottom, and then dried. 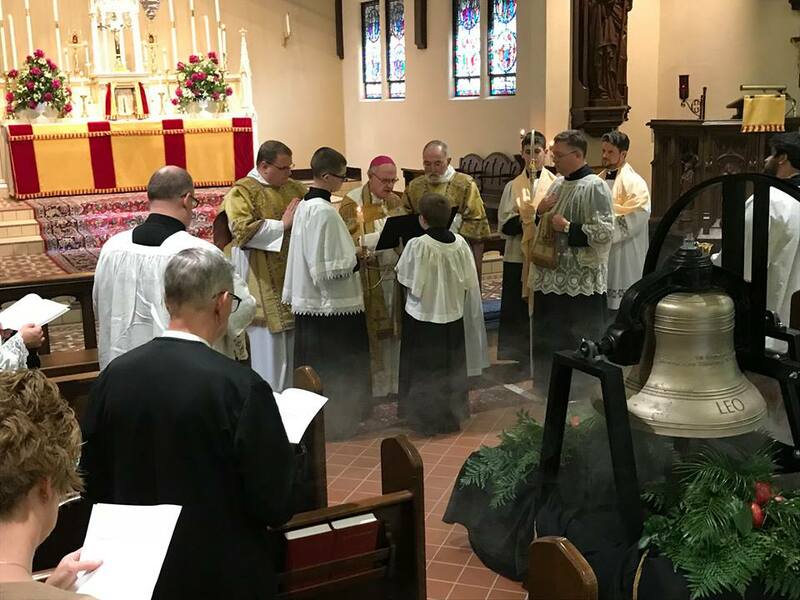 While this is done, the bishop sits at the faldstool, and with the other clergy present recites the final six psalms of the Psalter, without an antiphon; the last three, psalms 148, 149 and 150, are recited as a single psalm with a single doxology, as they are at Lauds. The psalms being finished, the bishop rises, and makes a single cross on the outside of the bell with the Oil of the Sick. He then says the following prayer, making the sign of the cross over it at the place marked. 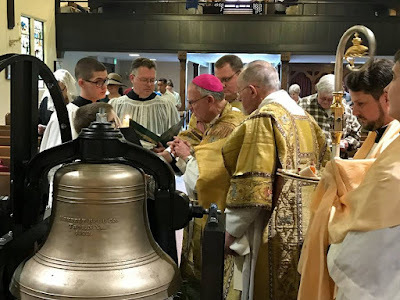 He wipes the cross off with a towel, and then intones the following antiphon, which is completed by choir, and sung with Psalm 29 Bring unto the Lord, from which it is taken. 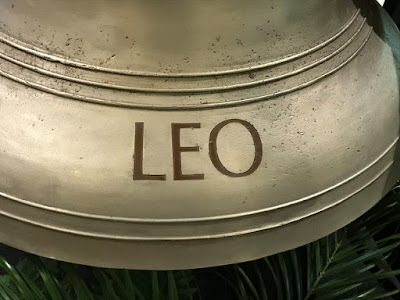 Aña The voice of the Lord is upon the waters; the God of majesty hath thundered, The Lord is upon many waters. 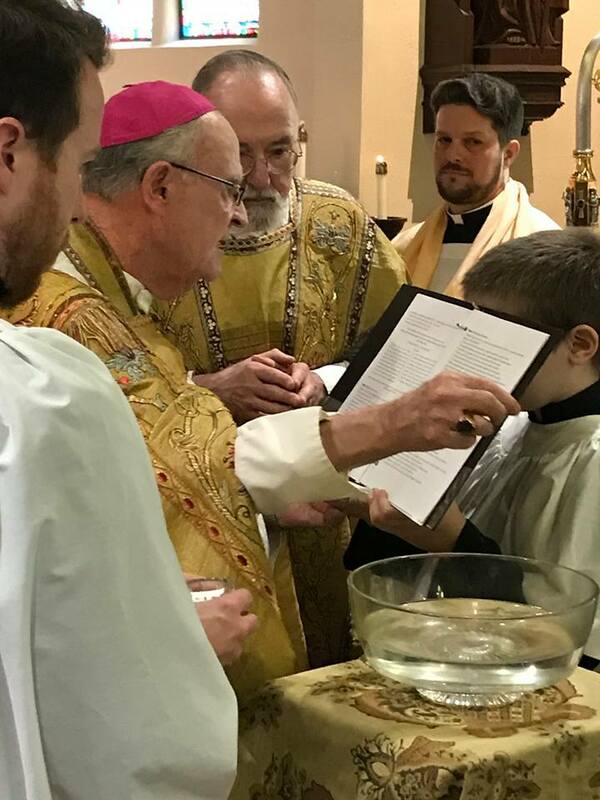 The anointings being done, the bishop says the following prayer. Meanwhile, the choir sings the following antiphon, and the last five verses of Psalm 77 (76), from which it is taken, with the doxology and the repetition of the antiphon. Aña Thy way, O God, is in the holy place: who is the great God like our God? The bishop then says the following prayer. The bishop makes the sign of the cross a final time over the bell, and departs.